I saw the new 3 today and was half tempted to grab the SS4 Goku. They look really good, but I do really wish they had some sort of movement in the chest. Thanks to Taichi for Zamasu. 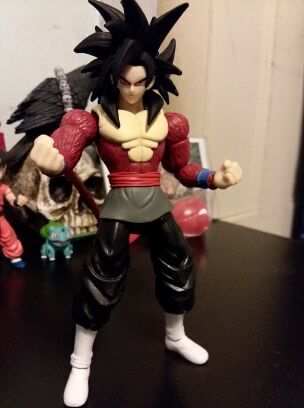 Are there any plans to make super saiyan red? 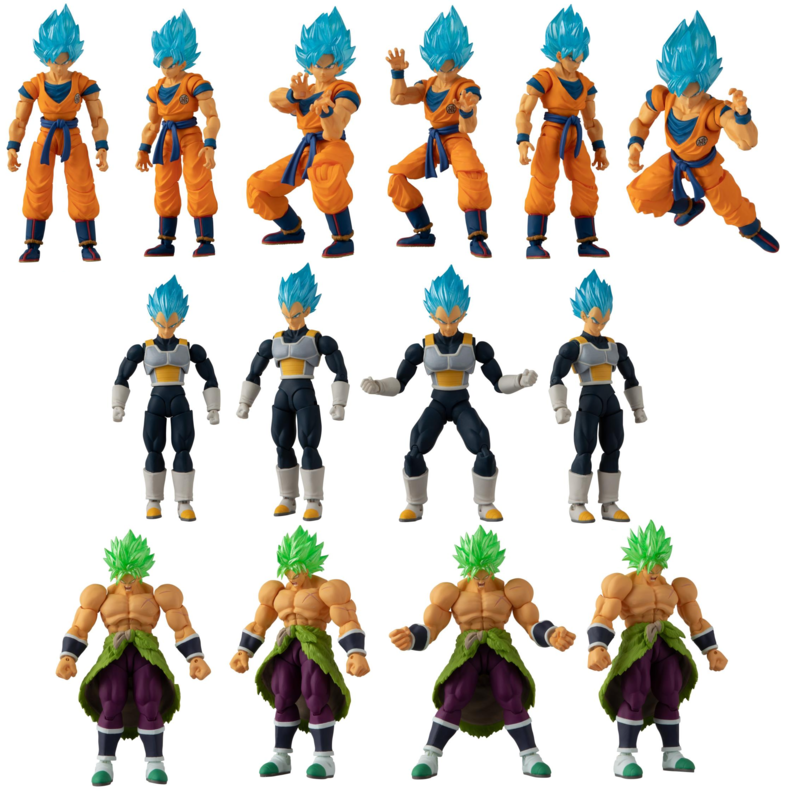 Im surprised they did super saiyan 4 but not red yet..
God form is only available in the Evolution of Goku pack from SDCC. Not that they can’t make a standard version. thats the only way to get him so far. they could release him without the emblem. that would make it different. well i would hope if they release him he would have a better face sculpt, but i also hope he doesnt have the emblem so he matches the other single releases. otherwise they need to release the other forms with emblems. we have a pretty solid set. putting just 1 form that doesnt match any of the others is a pet peeve. Oh well, I guess ss4 will have to fill my red goku slot in the meantime. I think ss3 is already released. 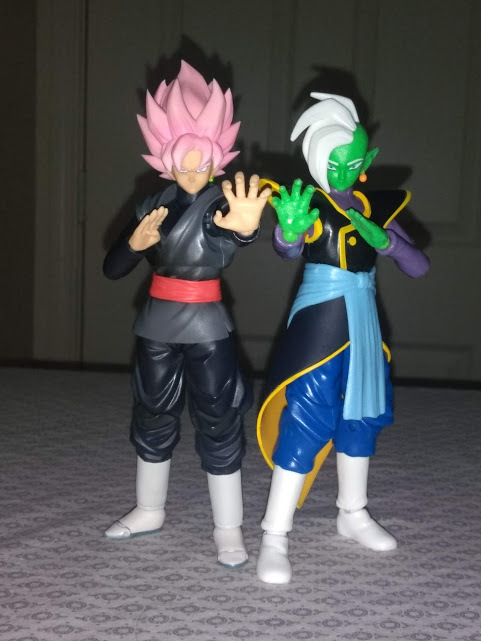 Caved in and ordered Jiren from the Dragon Stars line on BBTS and have shipped him out with SS4 Goku and Zamasu. Looking forward to getting them on my display. Anyone know roughly what month SS3 Goku, #17 and Cell are getting released? BBTS just has it listed as 2nd Quarter and I have em on pre-order. well we have to remember that game stops street date is when they leave the warehouse. game stop never has the figures the day they say they will. Any plans for a majin buu release? they leaked that kid buu is in the works. i beleive the same wave as 18 and gotenks. Had the day off, so I went out hunting, bagged me a hairless cat! Beerus is one of those characters that I like, but wasn't wiling to get the Figuart of. Couldn't really say no to this though. I really like this figure, I think the sculpt is pretty damn good, however there is one flaw that I knew would annoy me, even before I bought it. No bicep swivel. When every other figure in the line has one, this is pretty unacceptable. I just wish I could twist his arm! So I did a thing. After some slicing, dicing, and drilling, he can now do what should have been able to in the first place. I've only finished the one arm, so I'm off to do the other! Beerus "You think your higher quality plastic can save you from the God of Destruction?! I think not." Beerus "Would you look at this awful collection of those brutish Dinosaur creatures, blocking my way? I should destroy you for the mere fact of existing, let alone interrupting my evning stroll. Though, I may reconsider, if you happen to posses any of that pizza delicacy?" 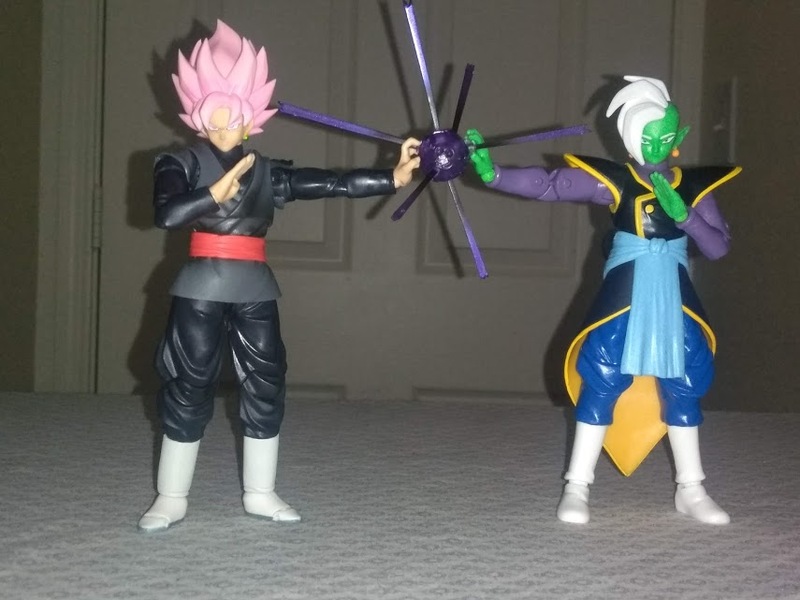 Jason "Umm...no, we don't have any pizza..."
So i saw the rerelease wave of the orginal goku/vegeta/beerus set and remembered this. Do you have a quick breakdown or steps fo how you pulled this off? Would love to do it myself. Surprised nobody's posted about these yet, but apparently we're getting 5 inch figures. They retail for $12.99, and they're coming out in June. Why the hell don't they use that kind of hip joint on the Dragon Stars? Vegeta's need some work, but hey at least this one can kick forward. Also, these faces look way better than the Dragon Stars too, is a different team working on these or something? It wasn't very hard, but there are some things to be mindful of. First is cutting off the arms, heat them up with a hair dryer or boiling water, then use an exacto knife to cut right above the arm band. Next figure out what you're going to use as a peg first, and work from there. I used an old weapon from Jungle Fury and cut it down to the right size. Matched the size of the peg with a drill bit and made the holes. At both ends of the arm you have to be careful how far you drill, as you'll end up hitting either the shoulder joint or the top elbow joint, so be mindful. Also, don't start out with the large drill bit first, use the smaller bits so they'll do less damage if you mess up, and the smaller hole will help to guide the larger bit where you want. Not sure what else to say, but feel free to ask me any questions, or pm me. Good luck!